The Sydney burger institution is celebrating its last night at Fancy Free with a heap of fried chicken and whiskey. Sydney burger institution Mary's might be wrapping up its two-month stint at Fancy Free, but it's making sure to go out with a bang. 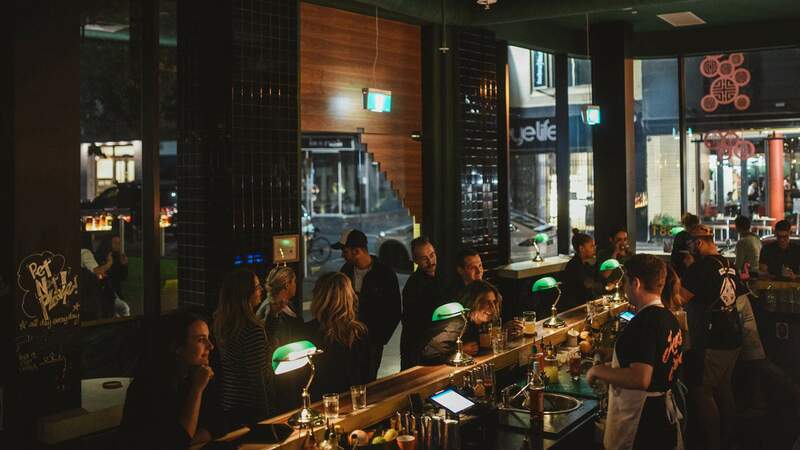 The team will be farewelling its temporary home in the CBD cocktail bar's kitchen with a boozy, food-filled fiesta to remember. On Thursday, April 18, Mary's is getting free rein of the entire venue, taking over everything from the playlist to the fryer. There'll be a stack of its signature fried chicken, plus gravy backs galore — a shot of Jack Daniel's followed by a shot of gravy — with freebies flying fast throughout the night. And true to form, expect Mary's-style heavy tunes on the speakers and JD aplenty from the bar. Once the Mary's crew has left the building, Fancy Free will be heading up its own kitchen offering, with a rotating daytime menu of salads and sandwiches, including New Orleans-signature cult hit muffalettaa — a layered sambo packed with cured meats and cheeses — served by the pound. By night, things will be a little more substantial, and the guys are currently working on a brand-new wine and cocktail list, too. Fancy Free will be open from midday–11pm.